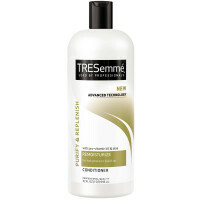 Directions After shampooing, apply evenly through hair, concentrating on the ends. Leave on one minute and rinse. Tips to make colour treated hair salon healthy everyday: For optimum colour care, use a shampoo and conditioner specially formulated for colour treated hair. Colour treated hair is more porous and takes longer to dry. Air dry or thoroughly towel blot to reduce heat damage from blow dryer. Watch out! Salt water and sun exposure can fade and dull your colour. Uses PROFESSIONAL RESULTS: Specialized conditioning to protect colour treated hair. Leaves hair vibrant and shiny. UNIQUELY FORMULATED: Patented deep conditioning formula with UV filters, Vitamin E and aloe. This product is not tested on animals.